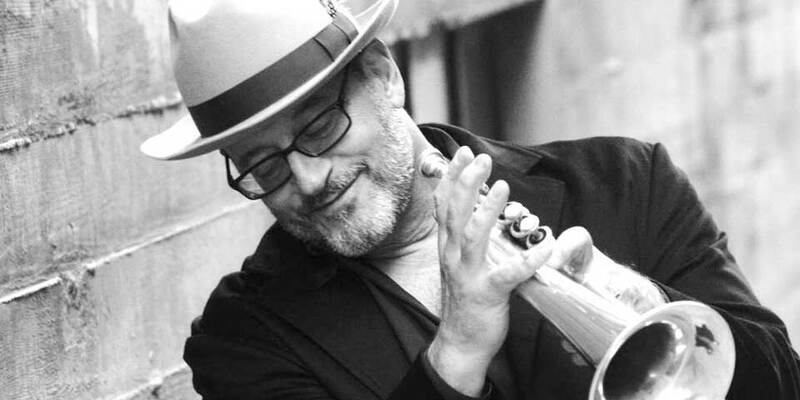 Jeff Oster is a Bay Area trumpet and flugelhorn player known for his Ambient New Age Funk. We recently caught up with Jeff to learn more about his latest album NEXT, his favorite career moments, and what he likes best about his Obsidian and Promenade themes and the AudioTheme Framework. I was eight years old, in the third grade in Highland Park, IL. I remember standing in the band room, looking at all of the instruments, and the trumpet, all brass and shiny, called my name. I was told that I had said that I wanted to play the melody. How would you describe the type of music you play? Miles, who never stood still, and Pink Floyd, who you could never pin down. Both groundbreaking, both unique, and as long as I can capture a bit of both, even the TINIEST bit, all is right in my corner of the world. And hopefully yours! Who are some of your musical heroes or influences and what do you love about them? Steely Dan, Miles, Yes, Alice Cooper, The Orb, William Ackerman, Tangerine Dream, Til Bronner, Pink Floyd and Herb Alpert…and way more! All of those artists are unique – not followers, groundbreaking in some way, and most of all, have each created their own unique songs and sound. If I could come close to ANY of them I’d be so happy! What is your most popular song and where can we hear it? I’d say that currently, my most popular song is “And We Dance” – co-written and performed with Grammy winner Will Ackerman. We made a sweet video for the song which you can watch here. It features my daughter Samantha, dancing with me in her first video! What’s been the most incredible moment in your music career? Being in the studio with Chuck Rainey and Bernard Purdie – recording the tracks for my new album NEXT. Co-writing songs with Will Ackerman, one of my musical idols. Working with Nile Rodgers on the title track of NEXT. Hearing my music on the radio for the very first time. All of these things are incredible to me, and I am grateful. Is there anything new or exciting that we can look forward to from you? Big things are happening with Jeff Oster LIVE right now. We have several shows coming up that you can get details on at jeffosterlive.com. What do you like best about the AudioTheme framework or the Obsidian theme? These themes fit PERFECTLY for the visuals of my new album, and my live band. It was almost as if Obsidian was created to go with the art I’ve developed for NEXT. The music playlists, the navigation, the mobile friendly layout, the ease of use, ALL of it is just perfect for the web presence I wanted that I will be happy with for many years to come. Love Jeff’s websites? Learn more about our Obsidian and Promenade themes. Want to be an AudioTheme Spotlight Artist? Drop us an line!